School teachers may require them to be covered. 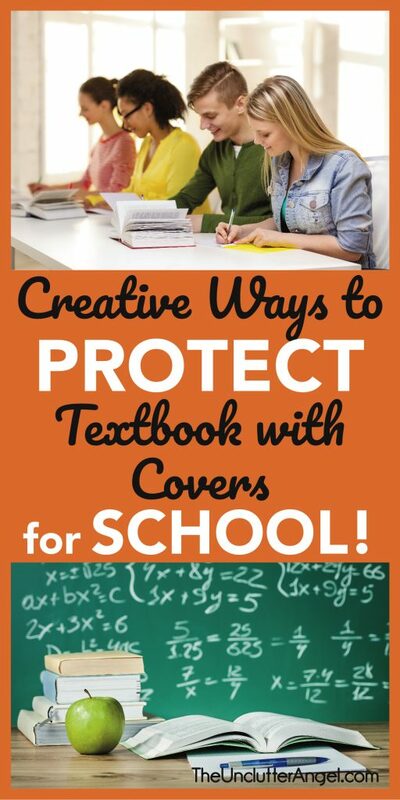 Here is why using creative ways to protect textbook with covers for school is a good idea! I am the designated craft person in the family. If there is anything related to being creative, using paper, markers, or stickers, I’m the go-to gal. Apparently, making covers for my kiddos textbooks falls into that category. 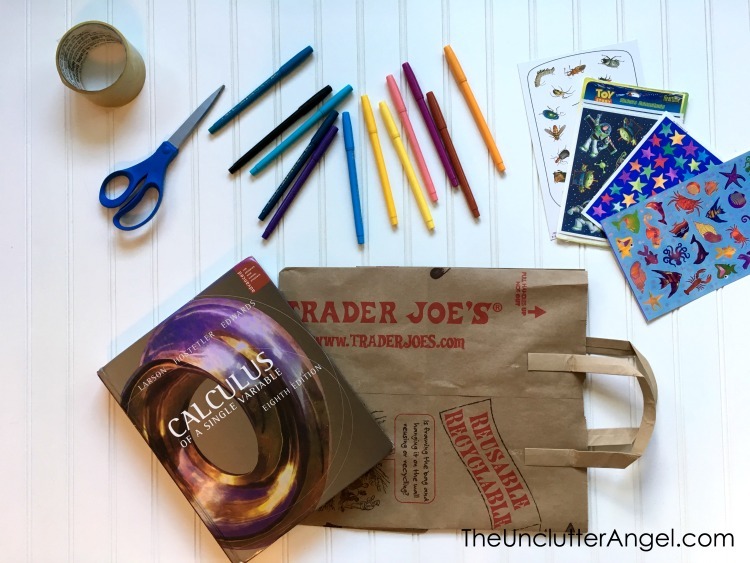 I just happen to have Trader Joe paper bags to use for my kiddos textbooks. 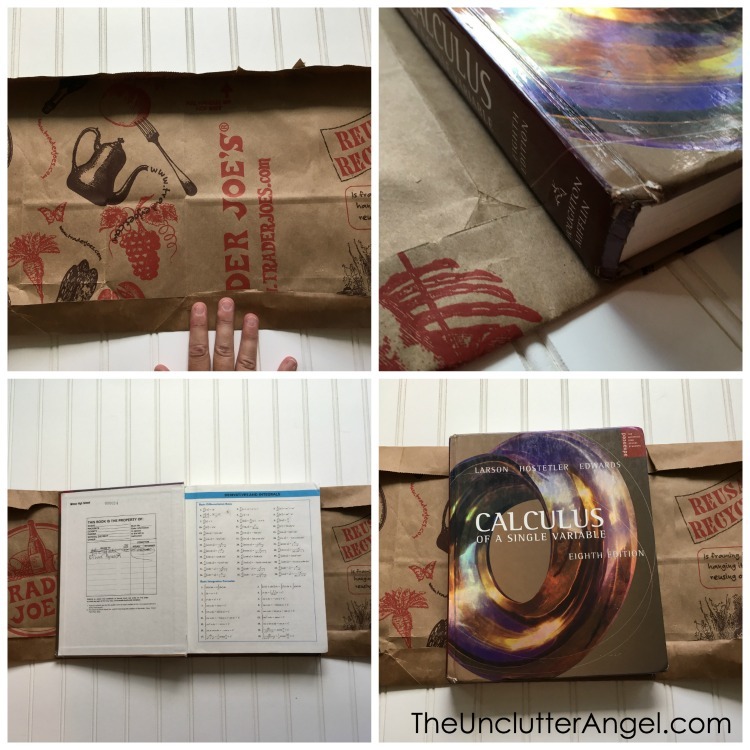 They still use paper bags at a number of grocery stores, and what’s cool is by using them as book covers they are being recycled! 1. 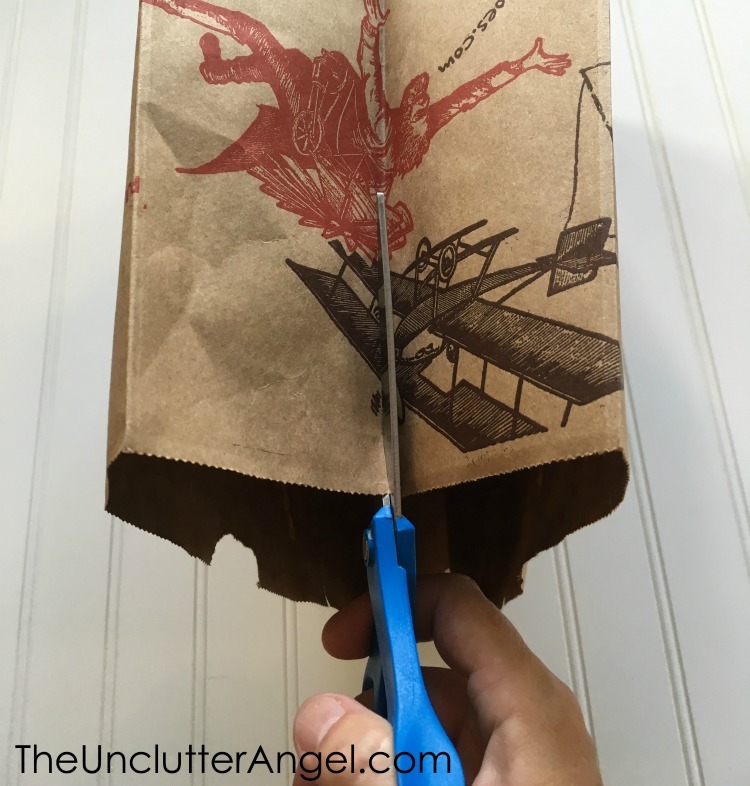 Carefully remove handles without ripping bag. 2. 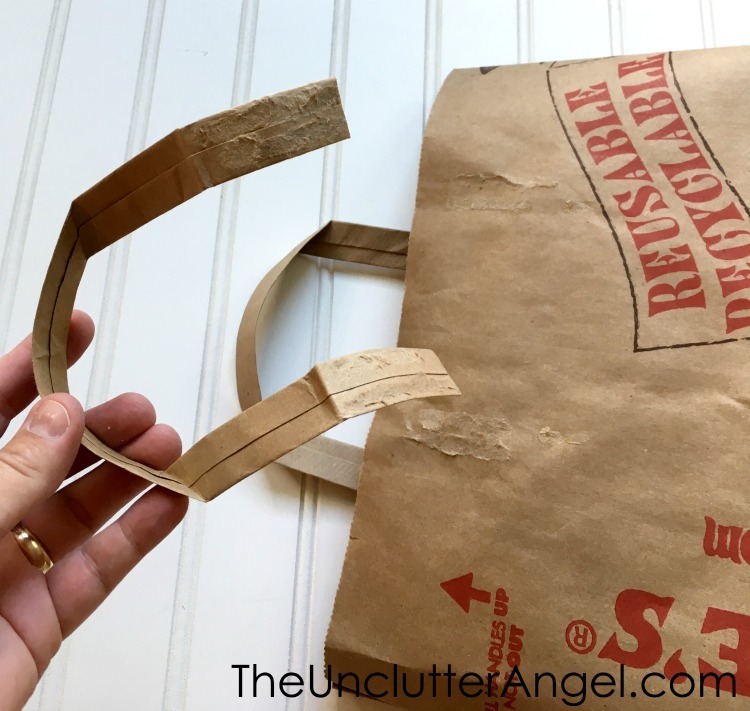 Cut the paper bag down one side. 3. Cut bottom of bag off. Place book on paper to double check that paper will be big enough to cover it. 4. Fold the paper creating creases on bottom and top to make edges. 5. Check that the paper will reach the edge of book cover, and both strips on top and bottom are same width. Make adjustments to edges as needed. 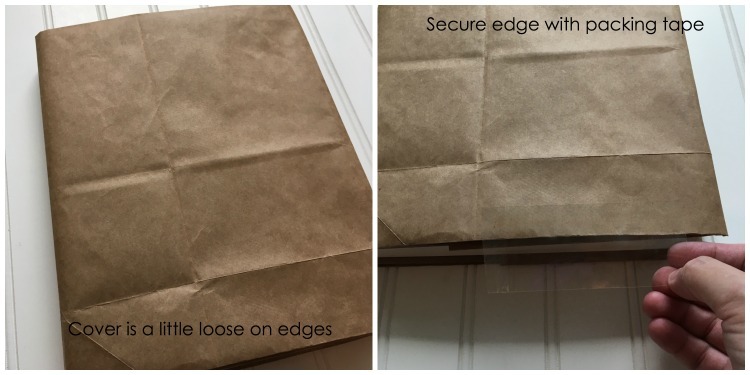 Use tape to keep edges down on the inside if you wish. 7. Center book on paper and fold over one side at a time. Make a crease and fold cover over, then the other side. 8. Insert front book cover into the slot that was created. Then do the back. You may find that the cover is too long and you need to trim. 9. 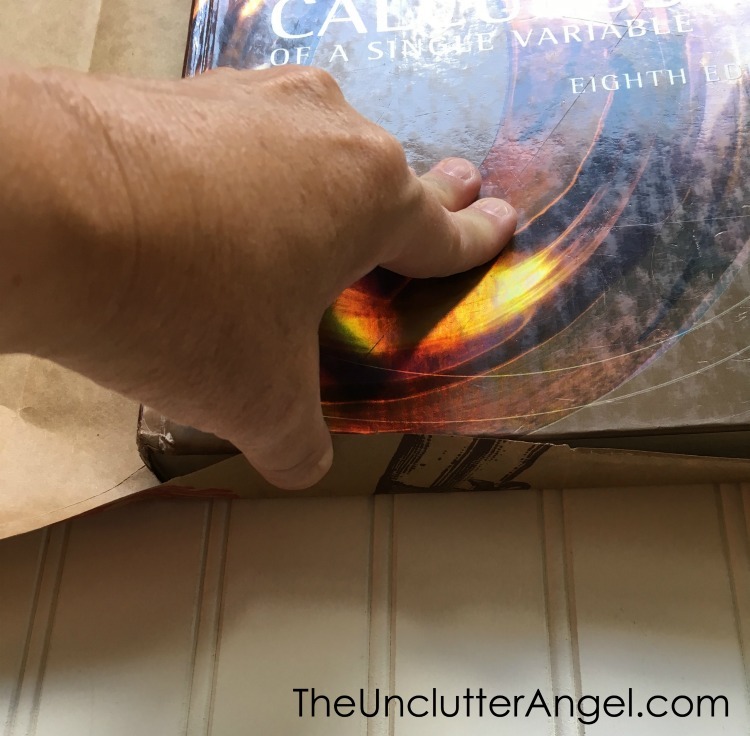 Slide the book in until it hits the crease on the book cover. Make sure the cover isn’t too tight, and make adjustments as needed. You can use packing tape to secure the cover if it’s loose and for spine, if you want more durability. Be careful not to attach tape to actual book cover. Have student put their name on cover too! RELATED POST: Organize Your Backpack for Success! 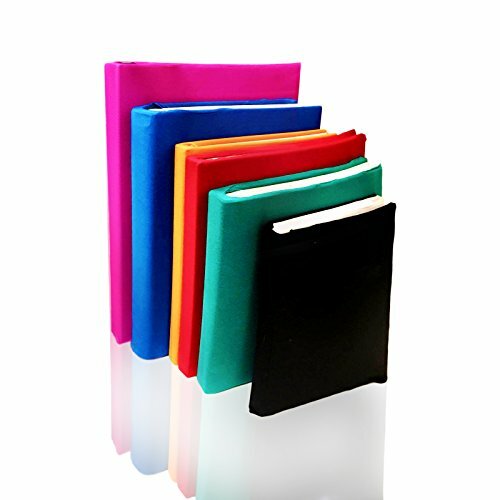 There are a few reasons that stretchy covers are a good choice to cover your students books. However, some teachers will prefer you to wrap your books with paper. 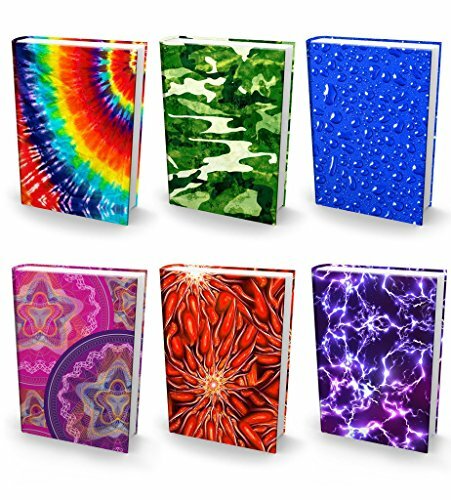 Make sure you know the teacher’s preference before you invest in stretchy book covers. It’s understandable the reason schools want the kids to cover their books. 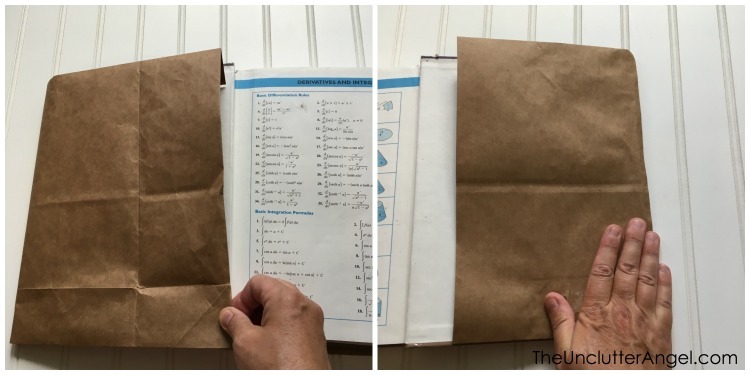 Not only does it keep the book in good condition, the unique cover helps keep the book with the right student. 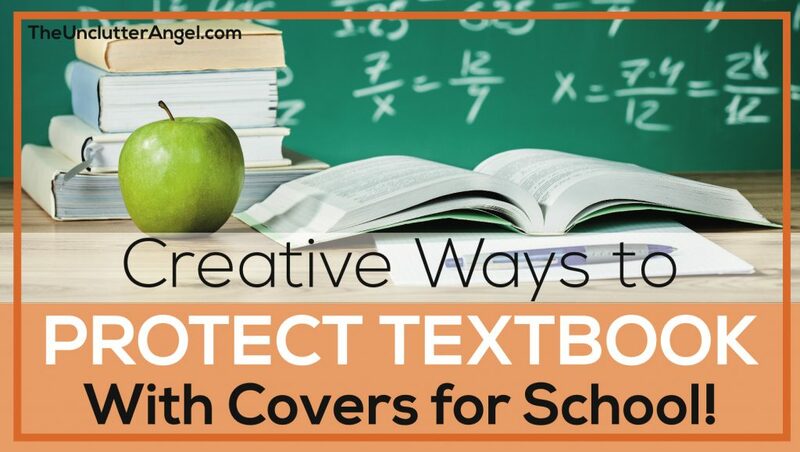 Using creative ways to protect textbook with covers for school is a much cheaper way to borrow a textbook than having to purchase a replacement for a damaged book at the end of the school year!